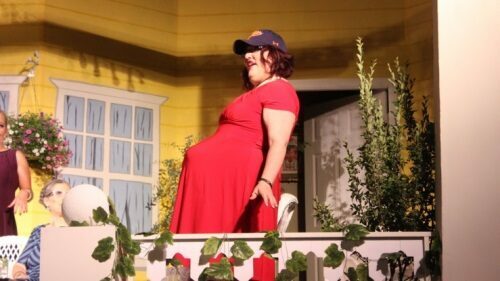 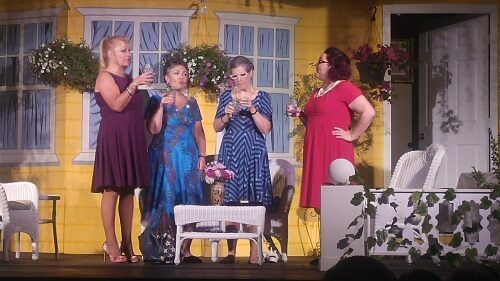 The Rialto Theater continued it’s 2018 Season with the opening of “The Savannah Sipping Society,” the latest play written by Jessie Jones, Nicholas Hope and Jamie Wooten, the authors of several plays, among them, “Doublewide, Texas”. 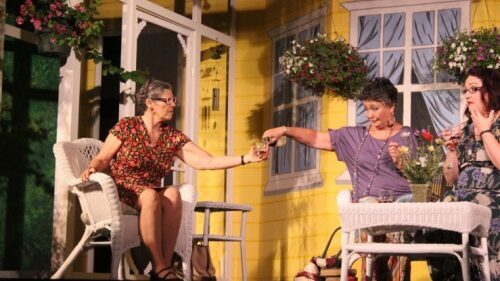 The play was directed by RC Wilkins, along with Assistant Director Janet Romanos. 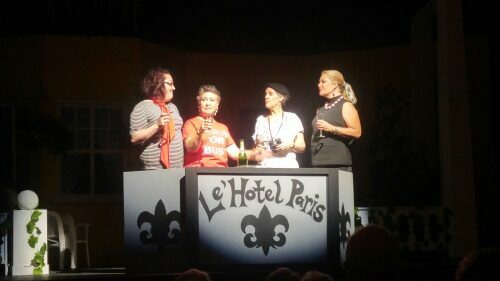 To add to the excitement of an opening night, R.C.Wilkins received a call from one of the authors, Jessie Jones, wishing the cast and crew success with their opening night performance. 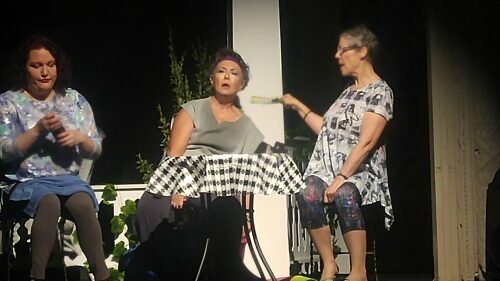 Through a chance meeting during a “Hot Yoga” class, these Southern Belles, albeit unlikely travelling companions, learn that valuable friendships can develop at any stage of life. 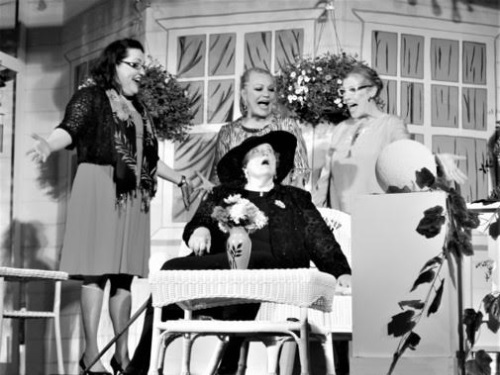 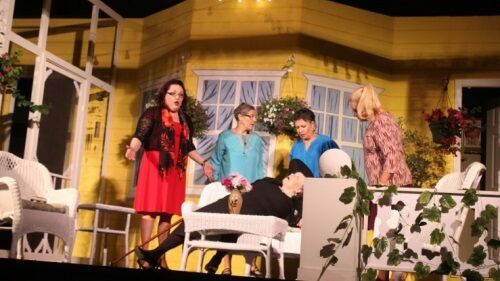 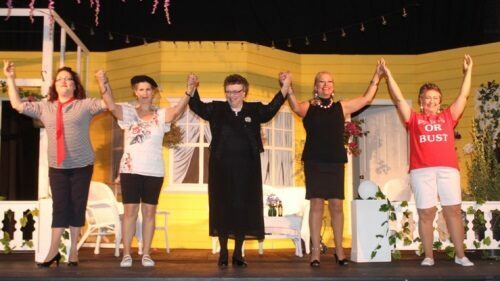 The cast, featuring Jennifer Bowers (Randa Covington), Diane Rucker (Dot Hiagler), Kathy Madonna (Marlafaye Mosley), Anne Sheridan (Jinx Jenkins) and Christine Kilpatrick (Cordelia Covington) will keep you laughing as they work through their diverse issues with their newly found Life Coach, Jinx Jenkins. 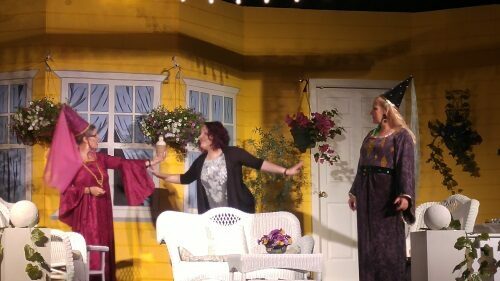 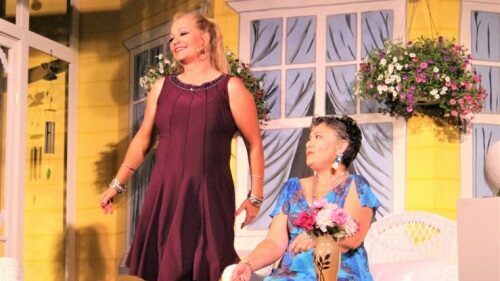 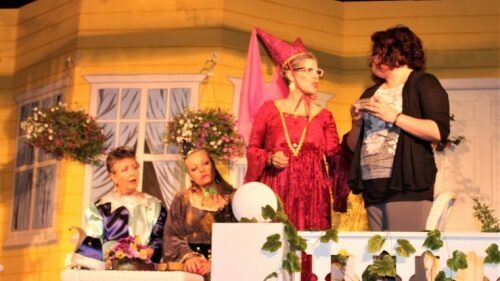 The magnificent set took the audience back to Old Savanah with the magnificent old front porches draped with wisteria and luxurious flowers. 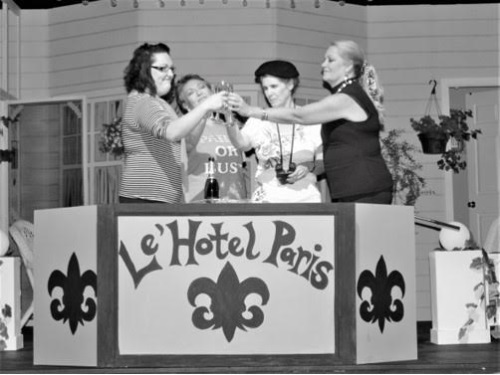 The play will run June 22, 23, 29 and 30th at 7 p.m. with Matinees on June 24th and July 1st at 3:00 p.m.